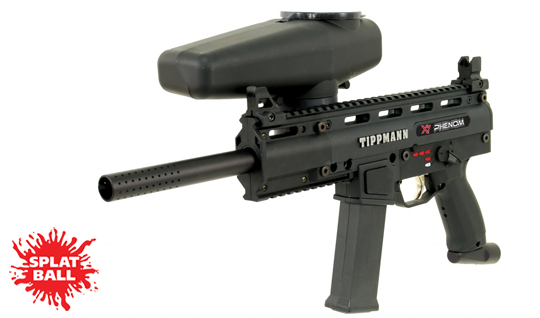 The Tippmann X7 Phenom paintball gun is perhaps the most customizable paintball gun available. With Tippmann’s wide variety of upgrade accessories, the gun can be quickly modified to suit your personal preference. When you’re serious about the look of your gear and even more serious about performance, the Tippmann X7 Phenom is the preferred choice. The X7 Phenom .68 caliber marker features Picatinny rails to easily add sights, handles or other accessories. It comes with a modular foregrip, removable front & rear sights, and quick release magazine with built-in tool storage. The aluminum body, internal gas-line, and 9.5” high performance barrel complete the platform. Includes Tippmann’s World Class 2-year Warranty.